1. Take a class at your local fly shop. First things first, sign yourself up for a class at your local fly shop. This is the most straight forward way to get all of the basics down. A class will give you important information about fly fishing, reading water, knot tying, fly selection, casting, and gear. A good class will even get you out on a river to practice your casting. Even if you have friends or family members who are incredible fly fishermen, it is still a great idea to sign up for a class and learn some fresh techniques and get some feedback from a professional. That way you aren’t picking up your uncle’s bad habits. 2. Determine what style of fly fishing you want to focus on. There are a lot of different kinds of fly fishing you can do, and each kind uses slightly different gear and methods. You should decide whether you are wanting to focus on salt water or fresh water fish. You should figure out if you want to target steelhead or if you are more of a backcountry browns type of guy (or gal). Knowing what type of fishing you want to do will help you to determine many things, from the type of gear that you purchase to the guide that you hire. 3. Get a rod and reel setup. 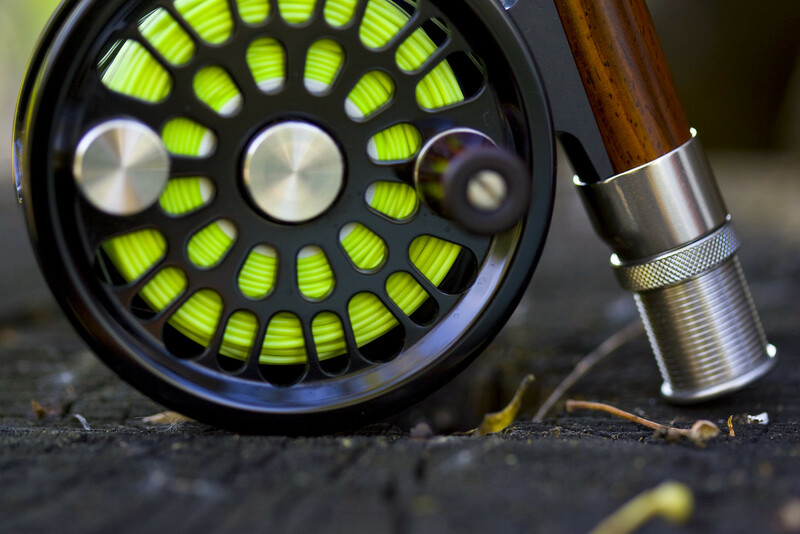 One of the most important steps in getting started fly fishing is picking your rod and reel. Depending on the style of fly fishing you will be doing and the types of fish that you will be targeting, you will need to get the appropriate setup. There are many different sizes and lengths of rod. A 9 foot, 5 weight is a safe bet for starting out. For a good, basic starter setup, check out the Redington Voyant Combo here. 4. Watch a casting video. Or two. Or three. Watching instructional videos will show you new perspectives and techniques that will help you to get a better feel for casting. Watching a few different videos will show you various movements and methods to try out so that you can develop a cast that works best for you. Check out some of the casting videos from Orvis: video here. Once you’ve taken a class and watched a few instructional videos, head out to a large, grassy area (grass is important so that you don’t ruin your line on concrete) and put what you’ve learned into motion. Practice casting and incorporating the various methods that you have observed. See what works best for you. A good idea is to set out a hula hoop and aim to get your fly inside of it. This will help you to gage your precision and to be able to tweak your cast in order to be more accurate. Being able to land your fly exactly where you intend for it to go is very important. It can mean the difference between your fly drifting picture perfectly over a trout, or getting your line snagged in a bush. Practice makes perfect, and the only way to become better at casting is to cast – and cast A LOT. 6. Get the right clothing. When you think of fly fishing, camouflage may not necessarily come to mind. But blending in with your surroundings is actually very important. Bright colors are a no-go because they will make you visible to the fish and it will scare them off. Your best bet is to wear neutral, earthy tones. Your goal is to try to go unseen. Stealth is the name of the game. You also want to make sure that you are wearing proper sun protection. A hat, polarized sunglasses, and a buff are all good ways to keep yourself safe from the sun. Check these out. Sunscreen is a must as well. When you’re on a river, the sun is reflected off of the water and can leave you with some nasty sunburns, even on a cloudy day. Finally, make sure that you have layers with you. The river may cool off drastically as the sun starts to go down, or you may find yourself in an unexpected downpour. Bottom line: you want to be prepared for anything mother nature throws your way. 7. Get the gear essentials. 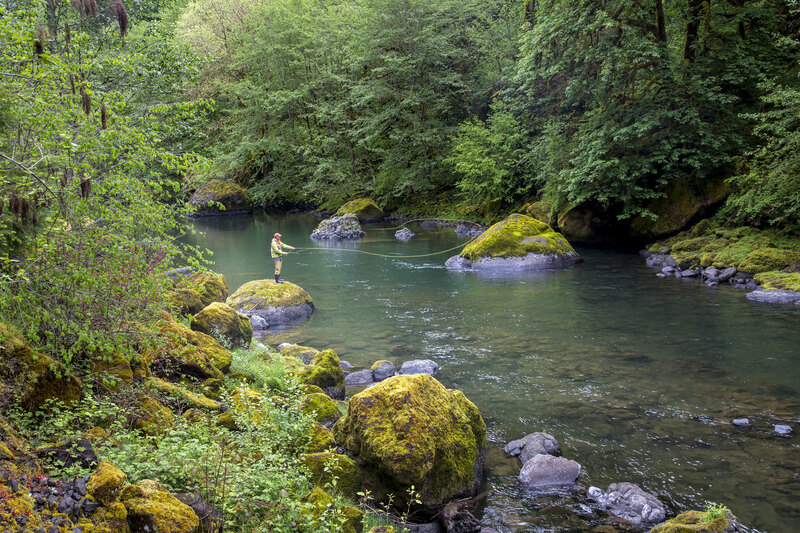 When most people think of fly fishing, they picture waders, boots, and lots of gadgets. It can be a little intimidating. The good news is that, to start off, you probably don’t need all of that. 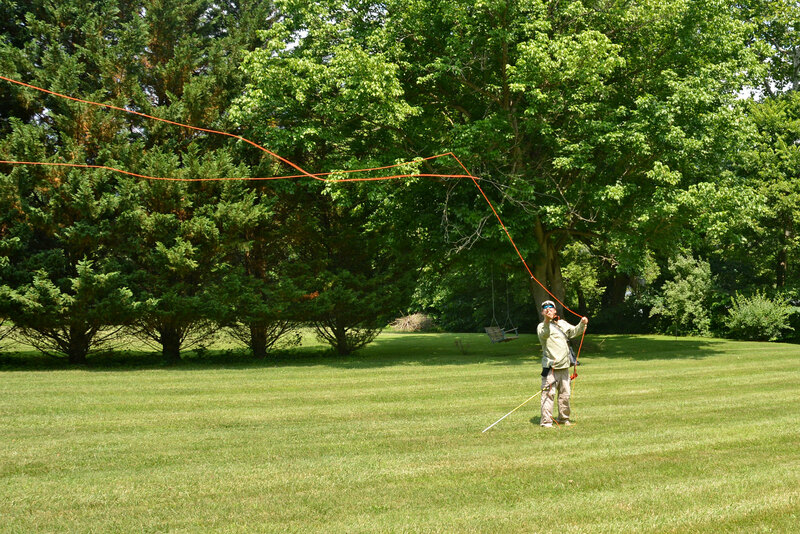 Here are the absolute basic essentials that you need to get started: -A fly rod and reel. You don’t need to break the bank starting off. You can get a great setup for a decent price. When and if you choose to upgrade down the line, you can use your first rod as a backup. -Fly Line and backing. There are many different weights and types of line. Just know that the weight of your line corresponds with the weight of your rod. So, if you have a 9 foot 5 weight rod, you will need 5 weight line. Backing is there to give your line a bit more grip so it doesn’t slip around on your reel. It also gives you about 200 extra yards in case you land a big one that decides to take you for a ride. If you bring your reel into your local fly shop, they will be able to help you pick the correct float line and backing,and they can put it on for you as well. -Leader and Tippet. The leader is what connect your fly line to your fly. It is tapered, and it serves to allow your line to unfurl and straighten out so that your fly lands just right. Leader is thinner than fly line, and it is translucent, which makes it harder for fish to see. Try a 7.5 to 9 foot leader like this kind from Rio. Tippet is used to extend your leader. This will need to be done after you have lost some of the length of your leader due to breaking or snipping your line. -Flies. There are several types of flies: dry flies, nymphs, and streamers. 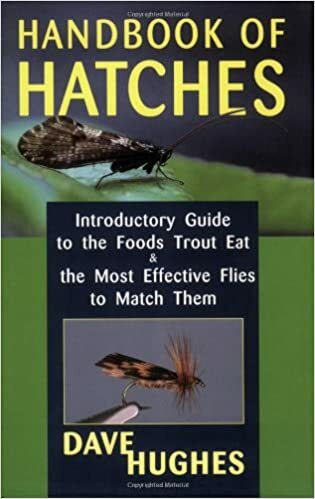 Dry flies are designed to float on the surface and are arguably the hardest type of fly to catch a fish on since no more than 10% of a fish’s diet comes from the surface. Nymphs are designed to sink below the surface, which is where fish eat the majority of their food. Streamers are big, bright, and feathery, and are meant to imitate a small fish. It’s a good idea to get yourself a few of each kind. To start off, head into a local fly shop and talk with one of the guys or gals about what the fish are biting on in that area. Most fly shops will have a board that lists which flies are working well in each area. -Nippers. Nippers are something that you will be glad that you have on you. They look like nail clippers, and they are basically just used for snipping line and tippet. They are handy, and you definitely want a pair. -Vest or pouch. You will need to get a vest or a pouch of some sort to hold your flies, nippers, sunglasses, phone, camera, sunscreen, snacks…you get the idea. You need something to hold your stuff. There are many options and you have to find what works best for you. Comfort and convenience are important when making your decision. Fishpond makes some great options that offer a lot of storage. Check them out here. -Footwear. There’s nothing wrong with hitting the river in a pair of sandals or old tennis shoes. But if you do get to the point where you want to invest in a pair of fly fishing boots, Simms has some great ones here. -Waders. If you are focusing on trout streams on warm sunny days, you wont necessarily need waders. However, if you are going to be fishing in colder water, or if you need to be able to get out deeper into a river, they are a must. Again, Simms has an awesome selection here. Waders are super handy. They keep you dry and warm. But, there is just something about fly fishing in your shorts and a t-shirt on a hot summer day that can’t be beat. 9. Learn to read the river and find the fish. You wont have much luck catching any fish if you don’t know where the fish are. 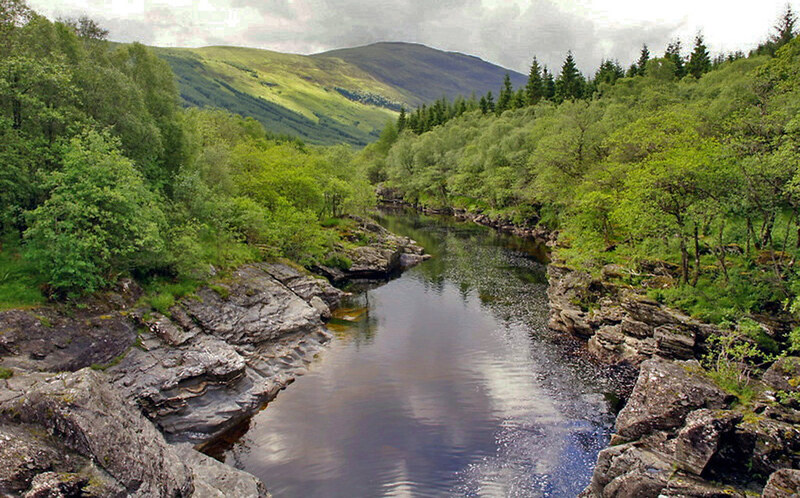 It’s important to be able to read a river and determine where fish are most likely to be hanging out. Sometimes, during a hatch, you might see fish feeding off of the surface. That makes your job a lot easier. But at other times, in fact for the majority of the time, fish keep well hidden beneath the surface. It’s at these times that you need to be able to use what you know about fish behavior and about river patterns. Here are some things to know:-Fish tend to like to spend time in slower water, as it requires less energy from them than swimming in fast moving water does.-Fish like to hang out behind boulders and rocks, and in spots where two currents meet. Water that funnels down between two rocks will carry food in it’s currents. Fish like to hang out down stream of these sections in hopes of an easy morsel.-Look for fallen or submerged trees that will provide ideal hiding spots for fish, as well as that slower water that they so desire.-Another place you will find fish is along river banks and under shady overhangs. Often, fish will loiter near the bank in the hopes of catching grass hoppers or other terrestrials that might fall into the river. I am going fly fishing for the first time on Tuesday so this article was perfect timing for me! I am going with a guide, so hopefully he can teach me a few things. I also plan on checking out that casting video because I know that will probably be my biggest challenge. Thanks Anna! Glad this article could be of help, Lindsey! Let us know how your first fly fishing experience goes! !